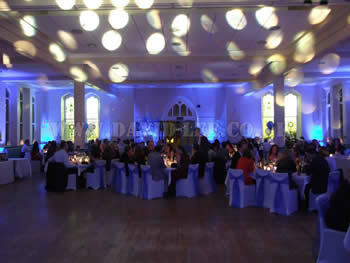 This venue was a bit different, but looked fantastic with the uplighting. 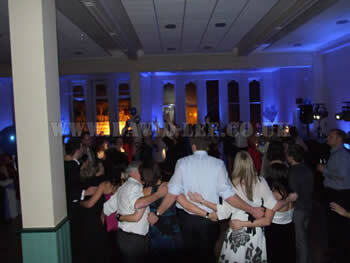 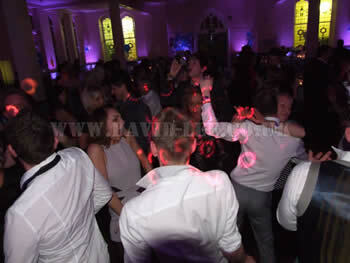 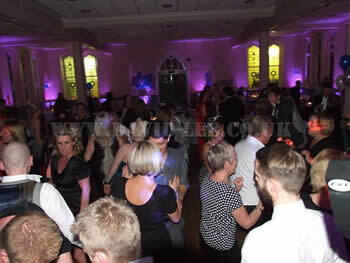 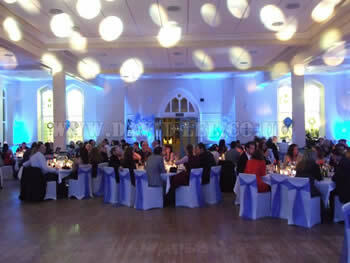 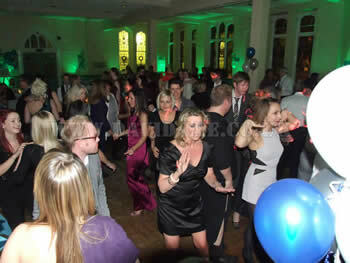 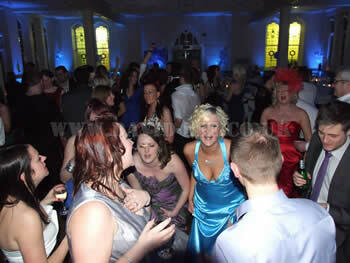 The reception room was the school dinning hall at Cheadle Hulme School and it was when we had the snow in December 2010. 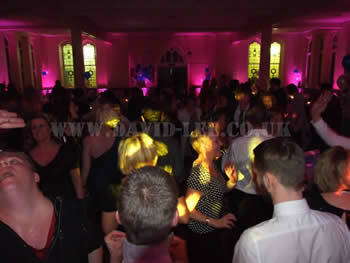 This time the party and disco was for Civil Partnership, they had the ceremony somewhere else adn where having the meal and disoc here. 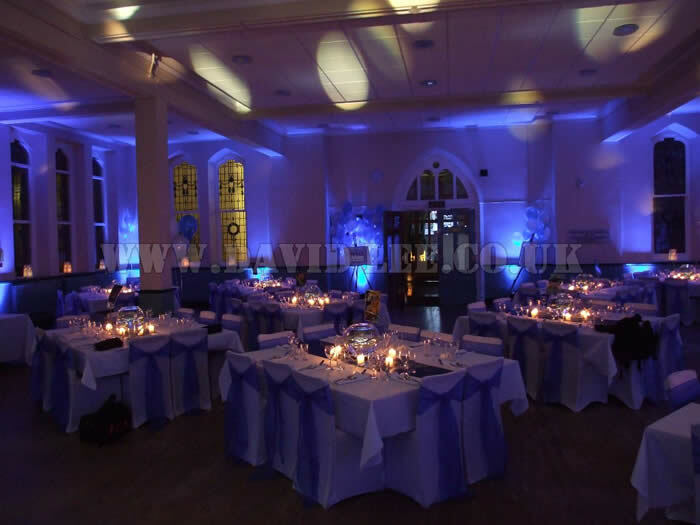 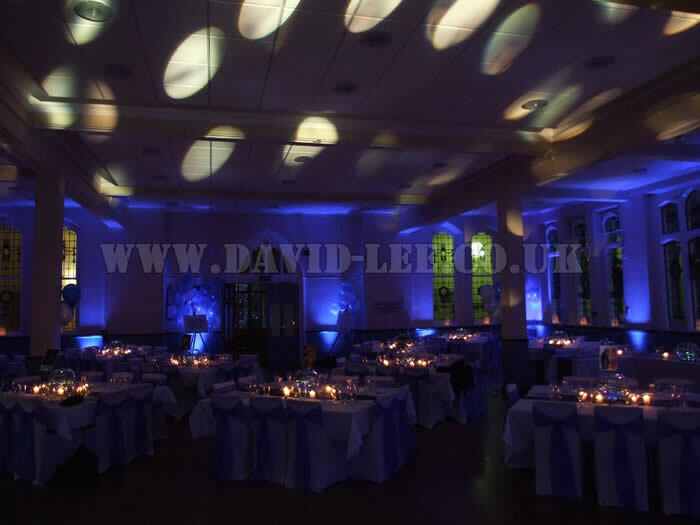 They had requested for the venue uplighting to be on blue for a more winter wonderland type effect, and I then directed my disco lights on to the ceiling to give just a little extra ambient lighting and it worked a treat. 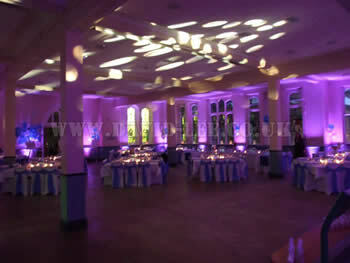 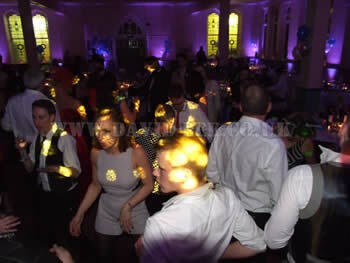 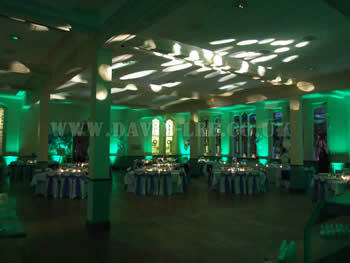 The venue uplighting was then turned to colour scroll during the party. 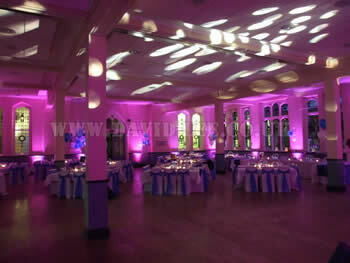 Not only did it look great everyone had a great a time.